Join us as we engage all in the empowerment of girls! At ROX, we believe that we all have an opportunity to help create a world that is more supportive and empowering for girls. Now more than ever, we want to create generations of confident girls who control their own relationships, experiences, decisions and futures. Join us on Thursday, April 19 at The Hub on Kenny for a fun & educational culinary and cocktail experience and help support the organization that is helping change the world for girls. The ROX team connected with the thousands of educators, professionals and business leaders that attended SXSWedu last week in Austin, TX. The week kicked off with a coveted solo speaker session by ROX Founder/Executive Director, Dr. Lisa Hinkelman, entitled "Selfies, Sexts & Self-Esteem: Girls & Social Media." It was clear that educators from across the country were desperately seeking resources to address this topic, evidenced by the 200-300 conference attendees waiting in line to access one of the 60 available seats. 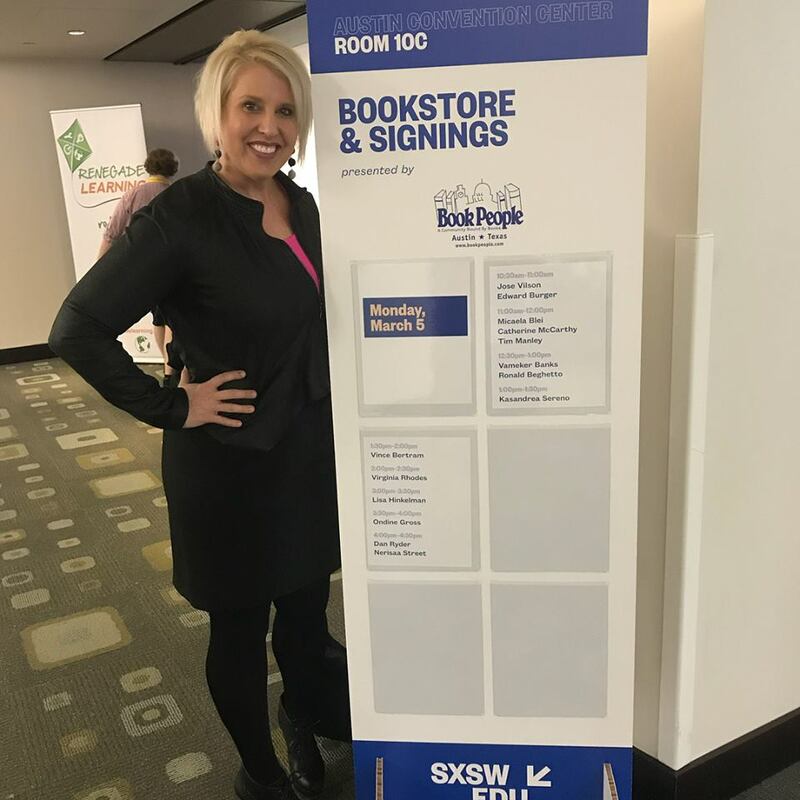 The excitement continued with an official book signing, recognizing Lisa's work in Girls Without Limits: Helping Girls Achieve Healthy Relationships, Academic Success & Interpersonal Strength and engagement opportunities with ROX experts in the Learning Expo. Later in the week, the ROX team had the opportunity to connect with administrative leaders from the Ann Richards School for Young Women Leaders, Bertha Sadler Means Young Women's Leadership Academy and Girlstart. A huge thank you to Sean Cavanagh who published a feature in Education Week about The Girls' Index and the ROX impact at SXSWedu 2018!